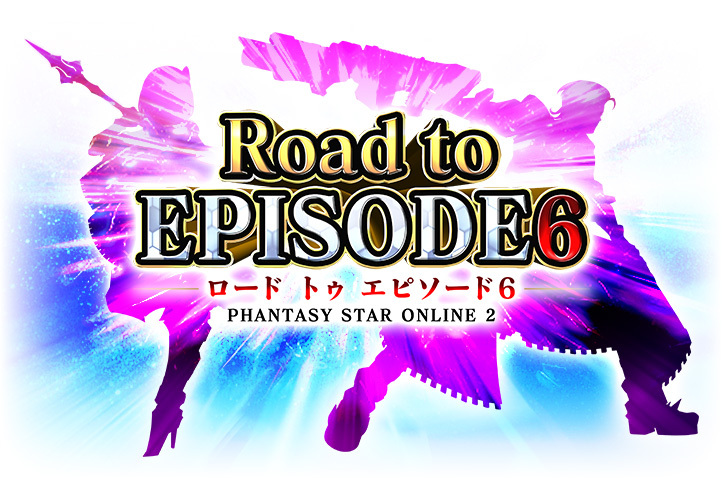 April 24th marks the start of Episode 6, bringing us the Phantom Class! 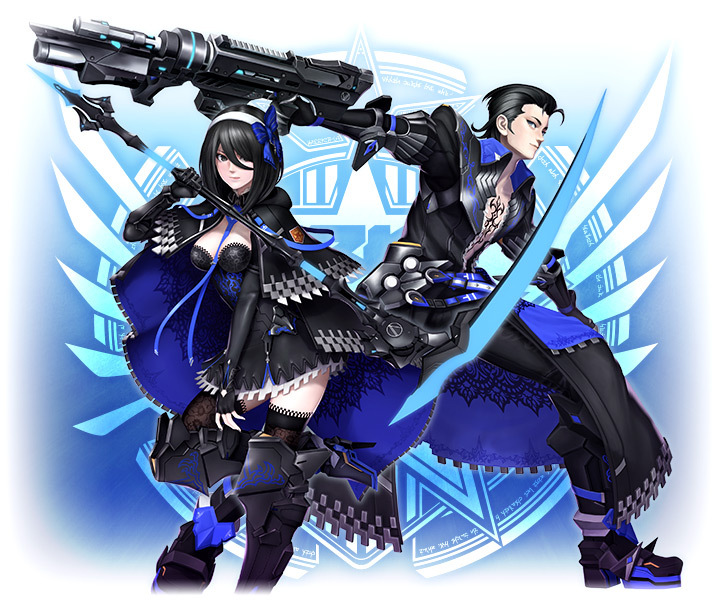 The new successor class utilizes three weapons; Assault Rifle; Katana and Rod. Players using this class can support their allies by reducing the attack power of their foes with Jellen! 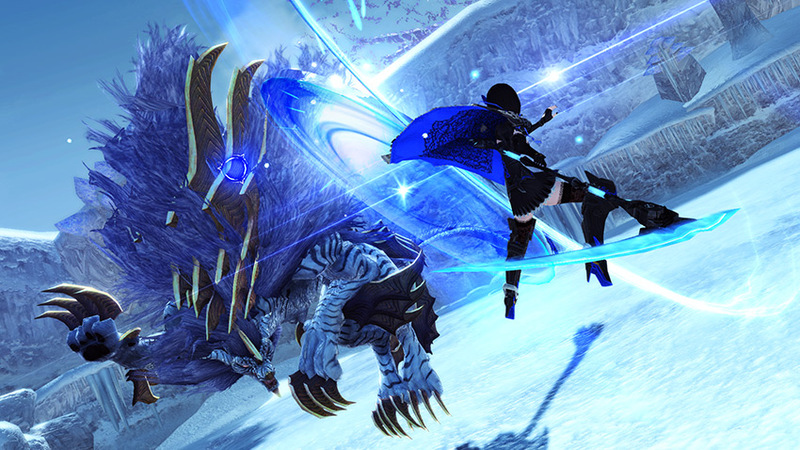 During Phantom Time, the skill [Phantom Time Finish] will allow the player to cast a powerful finishing move. Each weapon type however, has a different finisher! Much like Hero, you will not be able to use a subclass when having Phantom as your main class. However, you can set Phantom itself as a subclass for other main classes. Come April 24th, Phantom and Heroes can be unlocked by having any two classes reach Lv. 75+. The Phantom class has several major characteristics which allow players to access a variety of unique and intriguing features. 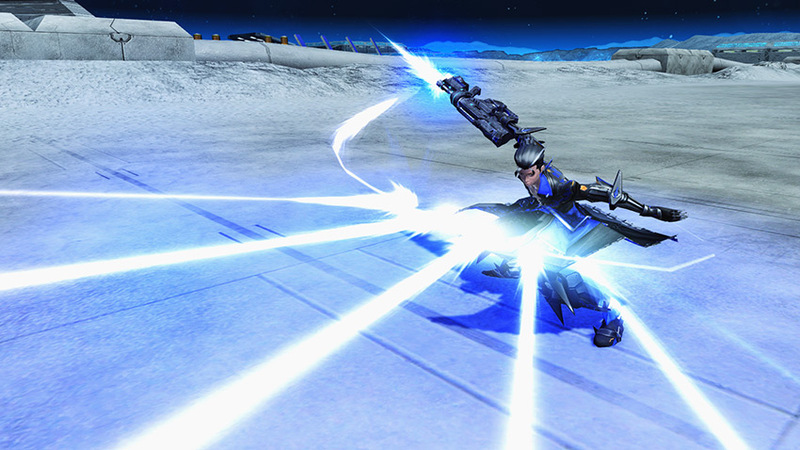 Each Phantom weapon (Rod, Katana, & Rifle) comes with four photon arts. 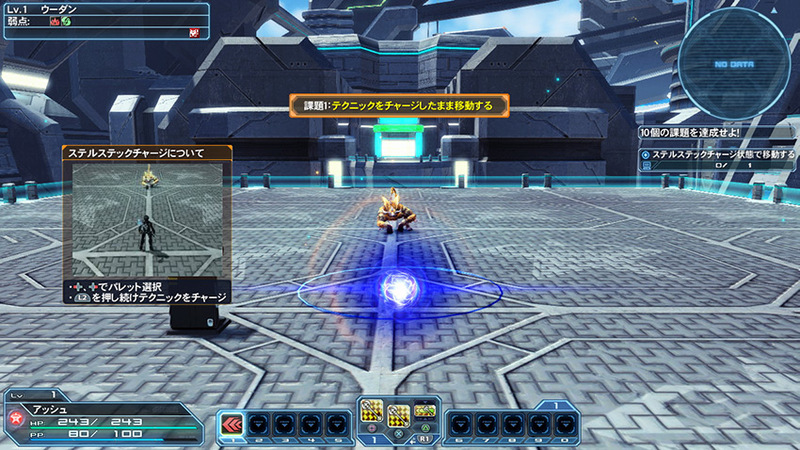 After tapping the weapon action button, a Just Attack Ring exclusive to Phantoms will appear. At this moment, activating a Photon Art will trigger a Shift PA. These photon arts behave differently from the regular four PAs – making it the player’s decision to pick whichever photon art is best suited for the situation. The Marker Accumulation Rate increases as you keep attacking an enemy. 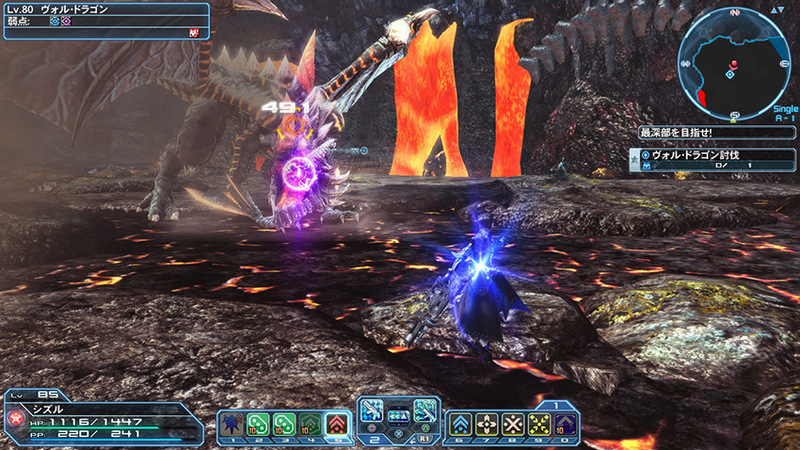 Once this rate reaches a certain threshold, a visual blue marker becomes attached to the enemy. Hitting this marker with a charged weapon-action attack, detonates the marker and unleashes further damage. Markers can also reach their second stage, indicated by their change in color from blue to purple. Phantom Time is a skill that extends your invincibility frames during step and decreases your PP consumption. Upon activation of the skill, you’ll also receive a few seconds of invincibility. Phantom Finishers can be activated through Phantom Time. If you tap the Phantom Time skill again before the gauge runs out, you will let loose a finishing move which changes based on the weapon type. With Stealth Tech Charge, you’ll become a ghostly orb with a brief duration of invincibility while charging a tech. Your movement speed will also increase during this period. Dodge Counter Shot stores bullets when you step-evade the enemy’s attacks. The stored bullets are then released if you perform a normal attack, photon art, or use Technics with a Rod. Phantom Katanas have access to [Quick Cut] which can be activated when you use the weapon action at a specific time following normal attacks and PAs. This allows you to move to your target at hyper speed and attack. Phantom Rifles have access to [Bullseye] which is activated when Markers are detonated. This will reaccumulate Markers based on the Marker level. Phantom Rods have access to [Ambivalence] which accumulates markers and increases gear when Technics hit. Normal: Creates a dense ball of photon that continuously deals damage in front of the player. Once released, it does a wide surrounding attack, creating an all-directional guard point and the ability to stun. Shift: Creates a constant damaging ring of photon around the player. Normal: Fall back after slicing the enemy. Shift: Swiftly approach the enemy. Normal: Throws a Talis-like bullet in which you could cast Technics from. Shift: Fires Photon bombs that repeatedly explode. ＊Values are subject to change. 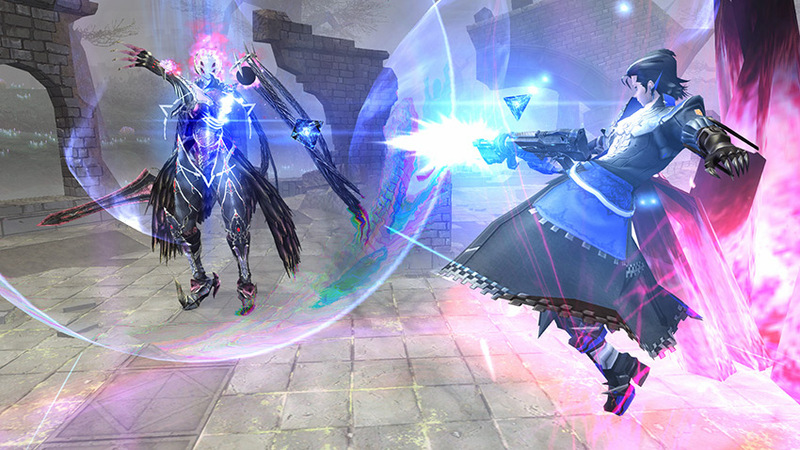 Normal: A frontal sweeping attack whose timing can be adjusted through holding the button. Invulnerability frames occur when the button is released. Shift: Continuously fire at the cost of PP. 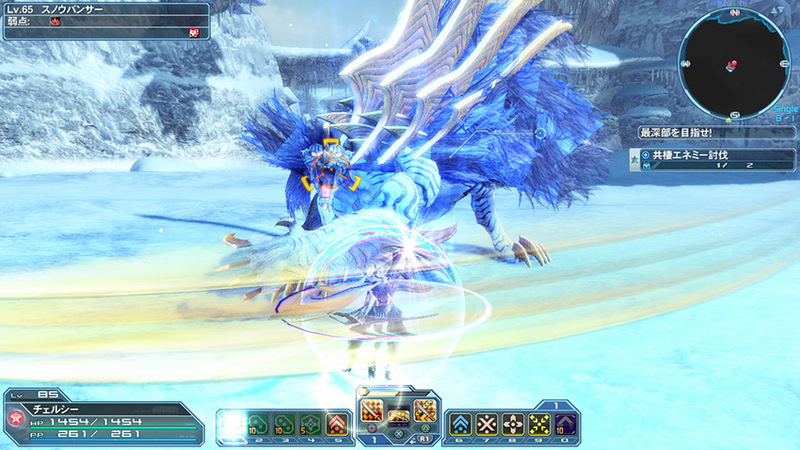 Invulnerability frames occur at the end of the attack. Normal: Mobilize a Shard that’ll slowly travel to the enemy, release the button to detonate the Shard. Shift: Dash forward while holding the button and release it to fire off large blasts. 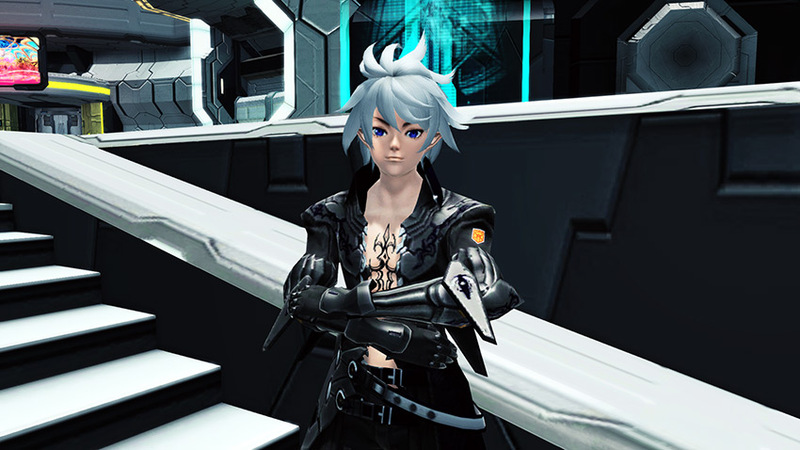 Normal: Arranges Shards that shoots out lasers. The arrangement of the shards changes based on directional input. Shift: Summons homing Shards that crashes into the enemy several times. Normal: Sets up shards that continuously fires lasers at the enemy. Shift: Sets up a trap that automatically explodes when it detects an enemy within range. Normal: Swiftly approach the enemy and attack. After the approach, you can also adjust your position during the attack. Shift: Slip through the enemy while doing slashes. Normal: A series of frontal slashes. Shift: Ultra-fast slash that strikes the reverse way of your directional input. Normal: Dives at high-speed and strikes a wide area on the ground, stunning enemies. Shift: Kick forward a photon wave. Normal: A powerful stab forward. Shift: A long-lasting slash that damages enemies that are on the slash. Talk to the Phantom Class Trainer: Kyokuya in order to obtain his partner card and Phantom SP (skill points) from completing his client orders. Good news, Phantom will not be left behind on some items. Phantom’s Effort Symbol Ring shall be added to the Ring Shop, and Phantom’s Order camo (supporting all three Phantom weapons), will be available in the 2019 Weapon Badge Exchange. Furthermore, you will also get to practice Phantom’s mechanics in the Phantom Training Quest! Check out all of the Balance Adjustments made to Classes with the link below! Warning! This post is updating in real time! Please take note as the information below is subject to change. SEGA has released their own balance info on April 12th for Episode 6. Info in the link below. Don’t worry, you didn’t miss a stream, but today we got some information from the latest Weekly Famitsu! One of Episode 6’s main concepts is to allow you to play with your favorite weapon and class. 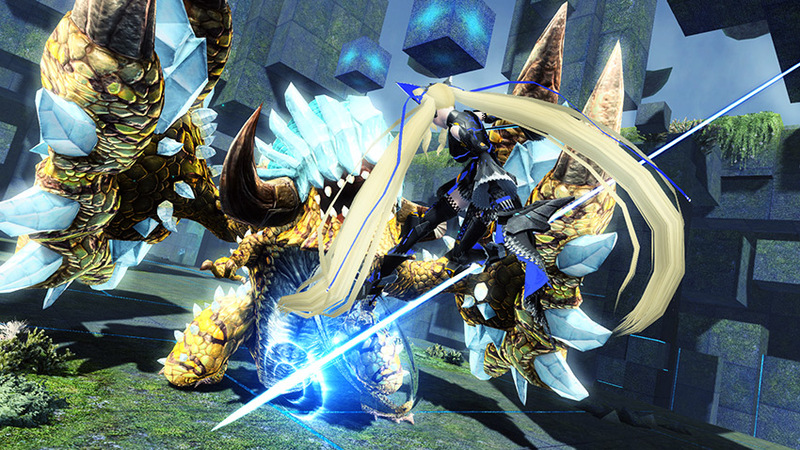 A preview of the first batch of adjustments have been provided by Famitsu. Later on, we will provide a more detailed list of adjustments on its own separate page once that information is announced. Hunter Gear Boost / Charge Parrying / War Brave will have their max skill level set to LV. 1. Their effects will be the same as the current Lv. 5. Improved the turning speed of Partizan’s normal attack while on the ground. When using WL’s Holding PAs, you can attack the enemy without capturing them. Relaxed the timing of descent when using these PAs in the air. Launcher PAs will also receive some improvements. Extended the range of Cracker Bullet’s shooting range. There might be more adjustments for other Launcher PAs but details weren’t given. By having Wand Gear, it changes the element of the wand to that of the charged technic (excluding support). We weren’t given details on what exactly is different from the other skill ring. For TMG PA: Final Storm, expanded its attack range and added a Guard Point in all directions when activated. 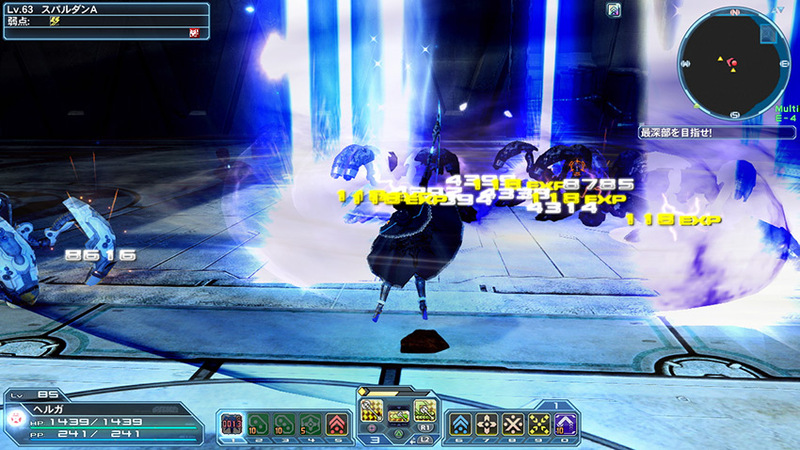 Made it possible to move while attacking in Talis normal attack, step attack, and after the fast moving weapon action. Expanded the suction range of Talis Jet Wheel PA and made it possible for you to move after activation. You can now set Technics to your main weapon palette, even if the weapon is a sword. Trade in Hero’s Crests to receive ★14 Ares and ★14 Omega Angel / Apprentice drops.